Mahabalipuram is an ancient city located in the Kancheepuram district of the southern Indian state of Tamil Nadu. Historically speaking, Mahabalipuram was once part of the Pallava Dynasty, a Tamil dynasty that ruled over part of southern India between the 3rd and 9th centuries AD. One of the architectural achievements of the Pallava kings was the construction of a complex of temples commonly known as the ‘Seven Pagodas of Mahabalipuram.’ Of these seven temples, only one - the Shore Temple, remains visible today. The other six temples are thought to have been submerged under the sea. The Seven Pagodas of Mahabalipuram were built during the reign of Narasimhavarman II in the 8th century AD. The Shore Temple is a building with five stories. 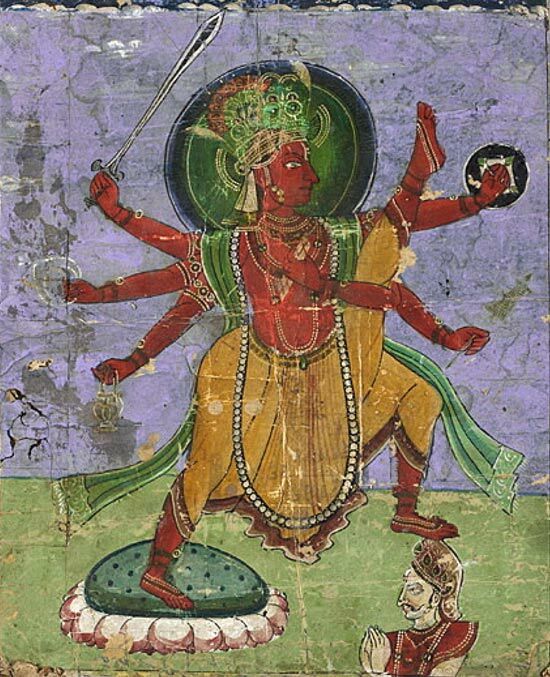 Due to its position, the first rays of the rising sun would fall on the deity that this temple was dedicated to, Shiva. The role of the Pallava kings as patrons of the arts can also be attested by the fact that this temple is decorated with intricate bas-reliefs. Many other outstanding structures built during the reign of the Pallava kings were decorated similarly. Additionally, there are many monolithic sculptures scattered around the temple complex. 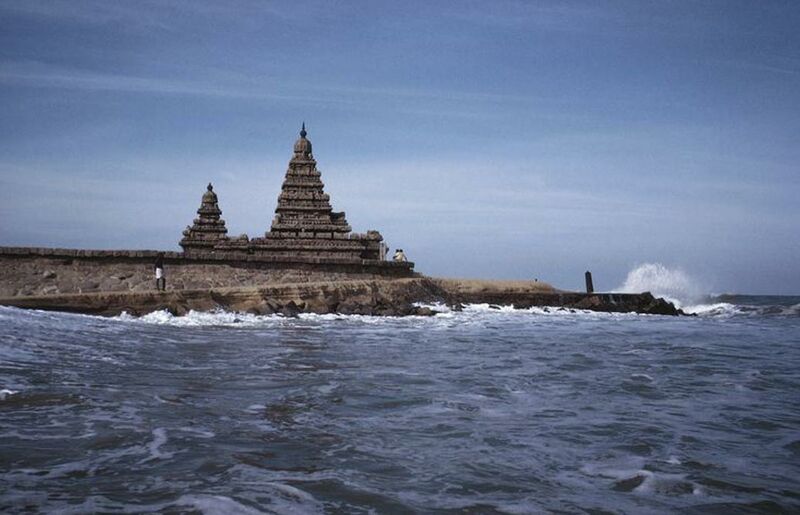 Remarkable as the Shore temple may seem, it is the six other submerged temples that have gained the most interest. According to a local myth, the beauty of Mahabalipuram aroused the jealousy of Indra, the deva of rain and storms . As a result, the deity is said to have submerged the entire city, including six of the seven temples, under the sea during a great storm. Only the Shore Temple was left above the water as evidence that this beautiful city had once existed. Whilst some believe that the myth is just a story, others are convinced that there are six temples under the waters somewhere off the coast of Mahabalipuram. In the same year, more evidence supporting the reality of the myth of the submerged temples came to light following the devastating tsunami that occurred on the 26th of December. During the tsunami, it was reported that “a long, straight row of large rocks emerge(d) from the water just before the waters rushed back again.” When the waters returned, these features were submerged again. Still, the force of the tsunami managed to expose some objects that were covered by centuries of silt. These objects include a large stone lion found on Mahabalipuram’s beach, as well as a half-completed rock relief of an elephant. These recent discoveries have sparked renewed interest in the Mahabalipuram legend. Based on these new pieces of evidence, it has been speculated that the underwater structures off the coast of Mahabalipuram may have been part of a small seaport city. The investigators, however, did not jump to the conclusion that these structures belonged to the legendary submerged temples. It was only after years of analysis that divers and scientists were ready to confirm the existence of at least one ancient temple and the possibility of many more constructions. To date, the team of geologists, archaeologists, and divers have found a 10 meter (32.8 ft.) long wall, a short flight of stairs, and chiseled stone blocks. These were found 800 meters (2624.7 ft.) from the shoreline at a depth of nearly 8.5 meters (27.9 ft). Although it has been difficult to identify many of the structures due to thick aquatic growth, experts believe they are about 1,100-1,500 years old. It is hoped that through further investigations, a greater understanding of these underwater structures can be gained and the myth of the seven submerged temples might one day be considered a true historical event.